Mix all spices and other ingredients together. Coat chicken with spice mix. Cover and leave to marinate for at least one hour. Place marinated chicken in shallow baking dish. Bake 45 minutes or until cooked through (180°F). Green Globe Certification announces The Ritz-Carlton Golf & Spa Resort, Rose Hall, Jamaica has been certified for its sustainable operations and management as well as its continued environmental conservation efforts. Green Globe is the leading certification program for environmental stewardship and corporate social responsibility in the travel and tourism industry worldwide. The Ladies and Gentlemen of The Ritz-Carlton Golf & Spa Resort have displayed an incredible dedication in embracing environmentally-conscious practices and continually searching for new sustainable initiatives to be implemented on property,’ said General Manager, Mr Tony Mira. ‘This achievement would not be possible without t heir extraordinary commitment and enthusiasm for creating a greener environment for our guests and Jamaica. This certification further exemplifies the hotel’s commitment of working towards a more sustainable future by protecting and preserving our island’s natural resources,’ added Mr Mira. To be awarded Green Globe certification, the resort implemented a variety of green practices in their daily operations, such as reusing linens, waste reduction, increasing energy efficiency, environmental education and community outreach. Over the course of two years, sufficient data was provided demonstrating consistent and ongoing green initiatives, from utilizing recycled paper to planting an herb garden for use by the culinary department. Sustainable efforts were overseen by The Ritz-Carlton Environmental Action Conservation Team (REACT), who educates all departments on environmental practices designed to minimize the hotel’s carbon footprint. Located on 5,000 picture-perfect acres in Jamaica’s exclusive Rose Hall, the 427-room AAA Five Diamond Resort offers the seclusion of a beachfront hideaway, complete with an 18-hole championship golf course, and an additional 36 holes of Championship Golf within the Rose Hall Resort Area. 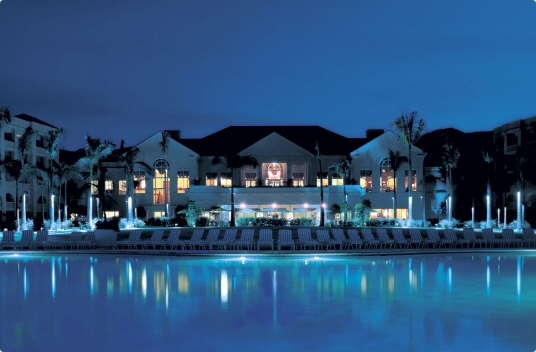 Complemented by a full service Spa, a variety of water s ports and recreational activities, the resort boasts five dining outlets and more than 25,000 square feet of meeting and reception space. Conveniently located just 15 minutes from Sangster International Airport, The Ritz-Carlton Golf & Spa Resort has brought luxury to the island nation and established itself as one of the Caribbean’s best values. 1. Jamaica is most famous for the sprawling luxury all inclusive resorts that flourish there and are a great option for newcomers to Jamaica. 2. 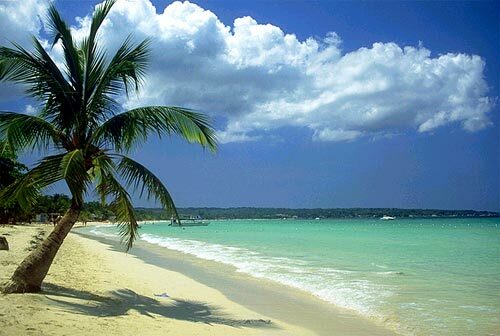 Jamaica’s glistening white-sand beaches are one of the main reasons to take a trip. 3. Shopping is a good reason to visit Jamaica. Craft markets dot the entire island, featuring everything from art and specialty foods to unique Jamaican handicrafts. Tourists find duty-free goods like perfumes, watches, jewelry and designer clothes, as well as local crafts – all for good prices. 4. Water sports are prolific in Jamaica and visitors can indulge in various water related activities. 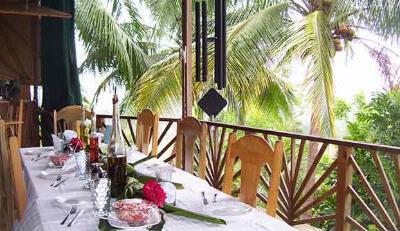 They can choose from surfing, diving among the coral reefs, river rafting on Martha brae, and so on. 5. Jamaica is an excellent place to understand the culture of the Caribbean. It provides for a lot of historical sightseeing and there are many buildings on the island that’s till bear testimony to its colonial past. 6. Golfers will be delighted by the many wonderful courses, primarily in the Montego Bay area. 7. 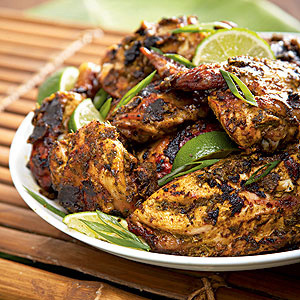 Jamaican cuisine is not for the faint of heart, it is piquant and sometimes very hot. However, with the influx of visitors, the locals have altered the traditional dishes to suit a wider palate. Most of the food is Caribbean in essence, however the national dish, Ackee and saltfish, is uniquely Jamaican. 8. Jamaica is a popular destination for weddings. The tropical climate and the exotic locale make for a very memorable location to exchange wedding vows. 9. 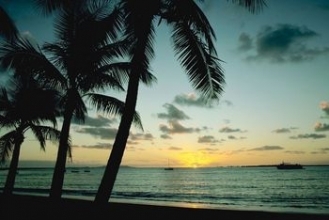 Families will enjoy the many activities, great beaches, and many child-friendly resorts. 10. Nature lovers will be sure to be astounded at the variety and abundance of flora and fauna in Jamaica, as the island sits across a number of ecosystems. Jamaica is known for its bird-life in particular, with some of the most exotic colorful species adorning the many trees on the island. GoldenEye Hotel & Resort on Jamaica’s north coast in the village of Oracabessa reopened Dec. 15 after a two-year renovation project. The 52-acre property is the former home of author Ian Fleming, creator of James Bond. Chris Blackwell, the founder of Island Records and the Island Outpost collection of five Jamaican properties, purchased GoldenEye in 1976. 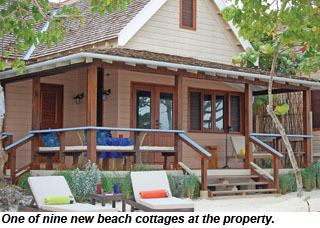 The newly renovated resort now encompasses 22 units, including nine beach cottages, two lagoon cottages and six lagoon suites as well as Fleming’s original villa and four villas built by Blackwell. Fleming first came to Jamaica during World War II, sent by British Naval Intelligence to investigate U-boat activities in the Caribbean. He bought the property on Oracabessa Bay and built his dream house, where he penned all 14 of his Bond novels. His neighbor was English playwright Noel Coward, who built his clifftop retreat called Firefly next door. Over the years the two hideaways became a center for writers, musicians, Hollywood royalty and heads of state. Blackwell preserved much of GoldenEye during the renovation. Fleming’s original writing desk still stands in his former villa, for example. Still, significant changes have been made at GoldenEye, according to Jason Henzell, president of Island Outpost. The new accommodations offer contemporary Jamaican-style luxury while preserving the property’s original footprint and style. The lagoon suites extend four feet over the water and include a private dock and a secluded garden with an outdoor lounge. The one- and two-bedroom beach cottages open directly onto the sand. With a nod to Blackwell’s history in the music industry, all units feature a sound system stocked with Island Records-produced music. Complimentary WiFi is available throughout the property. The Bizot Bar beach restaurant serves snacks and drinks on the sand; the Gazebo features an all-day lounge and serves dinner overlooking the lagoon and Low Cay beach below. 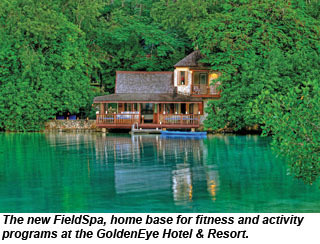 The new FieldSpa serves as the home base for the fitness and activity programs headed by Iona Wynter, an Olympic triathlete from Jamaica. Rates start at $672 per night, double from Jan. 8 through April 30. Ian Fleming Airport, an airstrip formerly called the Boscobel Aerodrome, will open on Jan. 12 and can accommodate up to six private jets and three smaller aircraft. The airport is 10 minutes from GoldenEye. 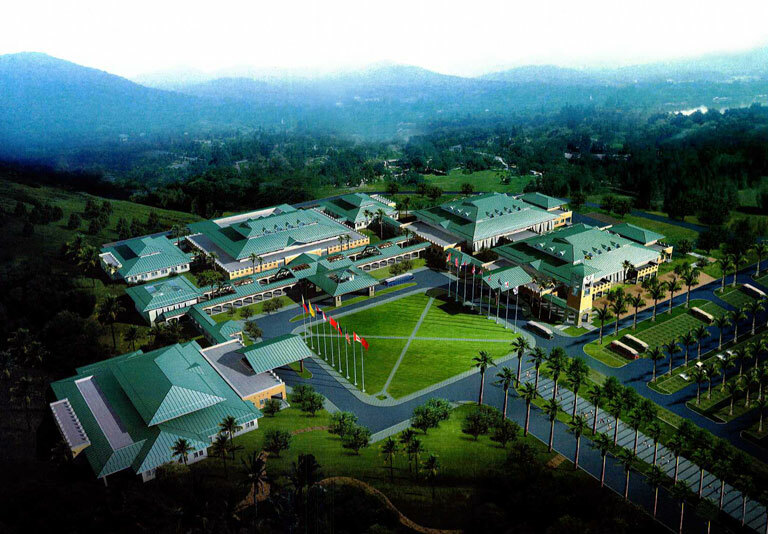 The $45 million Montego Bay Convention Centre was officially opened recently in a ceremony led by Jamaica’s Prime Minster Bruce Golding. The launch was described as a “soft opening” by the Jamaica Tourist Board (JTB), with the “major work” to be complete by Jan. 31. A Jamaican Wedding at Sunset Heal is so Romantic! Imagine your tropical wedding in a 40′ Gazebo surrounded by lush grounds and framed with their famous blue skies. Now imagine the fragrance of tropical flowers, as the island birds celebrate with you by singing your own private symphony! Many people don’t know that the hibiscus flower blooms for one day only. Just as your wedding day is “for one day only.” At Sunset Heal, they will work with you to create the most beautiful experience for you and your loved ones – an experience that will fill your memory book and your heart. 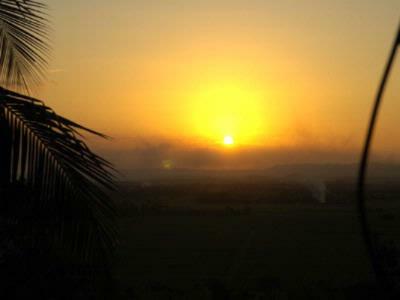 Jamaica is one of the most romantic places on earth and Sunset Heal is a beautiful sanctuary for your special day. In addition, when you hold your wedding in Jamaica, you can be assured that the weather will support you. Jamaica’s weather is good year round, so your outdoor wedding will be blessed with blue skies and lovely weather. After wards, you can hold your Reception at the famed Peppermint Restaurant which serves up sumptuous delights to tantalize the taste buds of you and your guests. Choose your menu to match your wedding theme and they will be happy to accommodate! We will make certain that every part of your wedding experience is fabulous and Sunset Heal will attend to every detail as though you were one of their family. Contact Carter Elite Travel at 310-722-3099 or Info@carterelitetravel.com for more information on the pricing and dates are open to book your wedding in Paradise at Sunset Heal Jamaica.